@KeyTeam we have the expertise in creating, designing and developing NFC solutions and NFC App development. @KeyTeam we have created Mobile Apps with BLE for some niche clients in Healthcare, Finance, and Marketing. 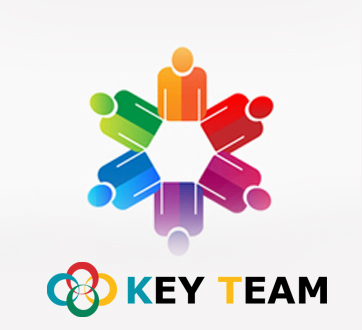 KeyTeam mobility experts have great levels of experience in developing cross platform and Native mobile apps across diverse mobile platforms (iOS, Android, Windows, App Porting Services). Technology has changed the world of business. It reduced the importance of geographic location and time and facilitated a truly global market place. This in turn created newer business challenges where businesses had to improve their competitiveness. As companies attempted to focus on core competencies, passing of service provision or production to another specialist provider was the obvious choice and meant sending projects or discrete tasks. Key Team has been working on IoT from a very long time. We are one of the foremost IoT based solutions developers in the vehicle tracking industry. Several of our clients have successfully either ported their businesses or started their business process on cloud solutions that we have designed for them. Managed IT services involve assigning dedicated IT experts in to monitor your technology, ensuring optimal performance of your network and systems. cycle of products and applications. @KeyTeam we have expertise in creating, designing and developing NFC solutions and NFC App development. @KeyTeam we have created Mobile Apps with BLE for some niche clients in Healthcare, Finance, and MarKey ing. Key Team mobility experts have great levels of experience in developing cross platform and Native mobile apps across diverse mobile platforms. Our experts are here to help your business create mobile solutions that streamline your services and are easily accessible to your customers. @2018 - Copyright Key Team. All Rights Reserved.